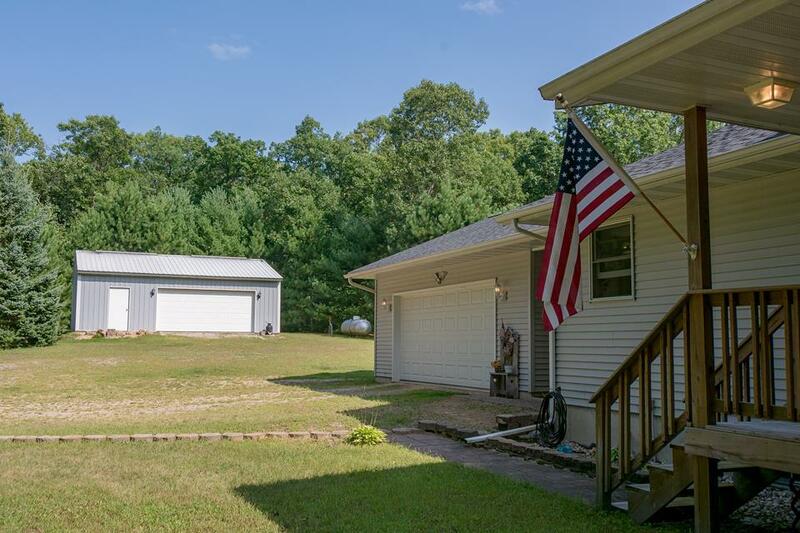 Custom-built ranch home on 5+ wooded acres at end of private drive- only 15 min away from the Dells! 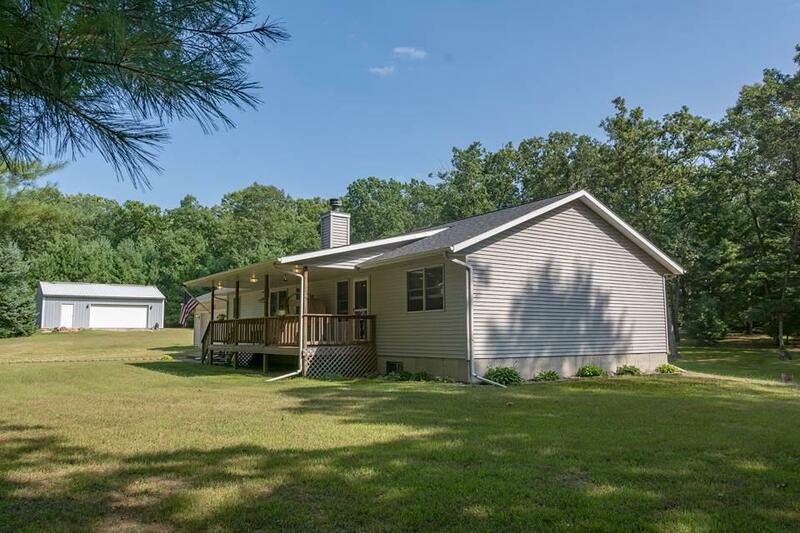 A hobbyist's dream & rural living at it's finest! 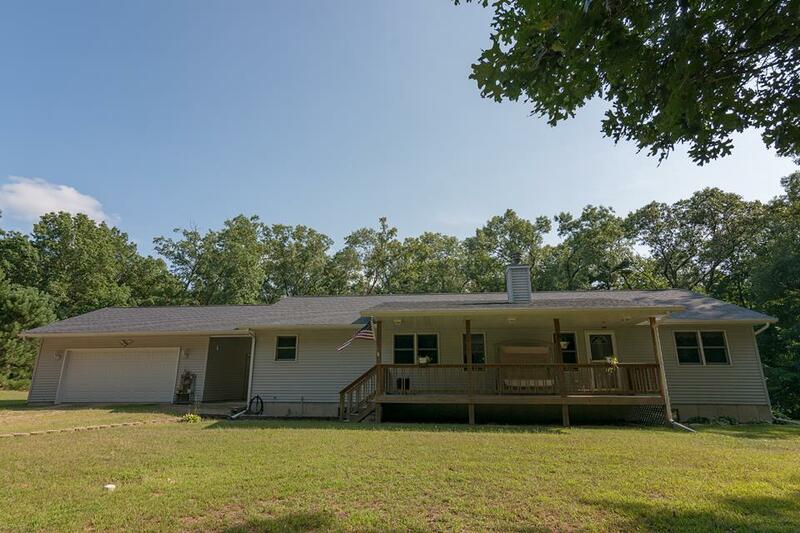 Relax outdoors on the front porch, the back deck overlooking your land OR hang out and grill in the breezeway between the house and attached garage! 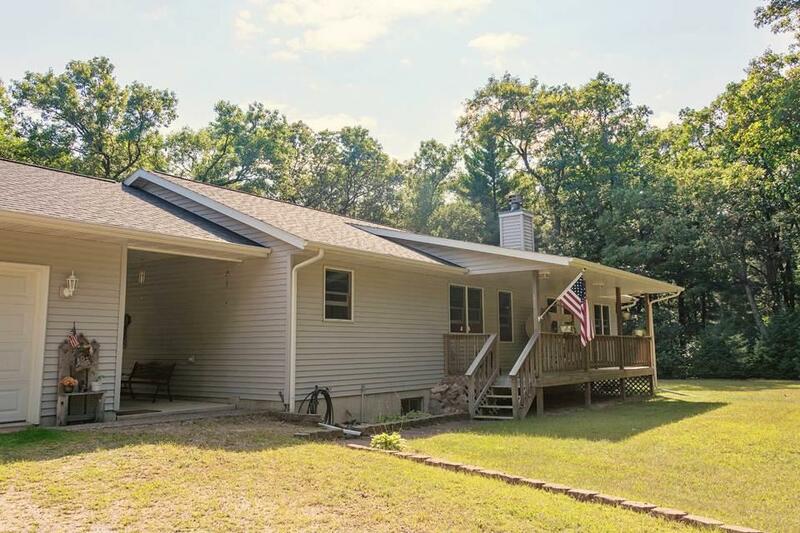 Tons of storage for ALL of your toys between the attached 2 car garage, detached 28x32 2-car garage/workshop AND hunter's cabin/playhouse/shed! Massive 28x58 basement is stubbed for additional bathroom. Outdoor wood-burning furnace connected to home & saves on heating costs! Shingles replaced 5 yrs ago!